Cardiff Beach Bar at Tower 13 is a locally owned beach/ sports bar with delicious food and a great view of the Pacific Ocean. Tower 13 is located directly across the street from the Cardiff State Beach. This place offers a great beach vibe with two outdoor patios that are dog friendly! After a nice day at Cardiff State Beach, head over to Tower 13 to refresh, kickback and enjoy a variety of food options, specialty cocktails, margaritas, over 23 beers on tap, 27 TV's for viewing your favorite sports team, live music on weekends and games! Their Traditional Tacos are amazing and you their Apple Brie burger is to die for as well! You won't be disappointed when you come here. Lets talk about Happy Hour! 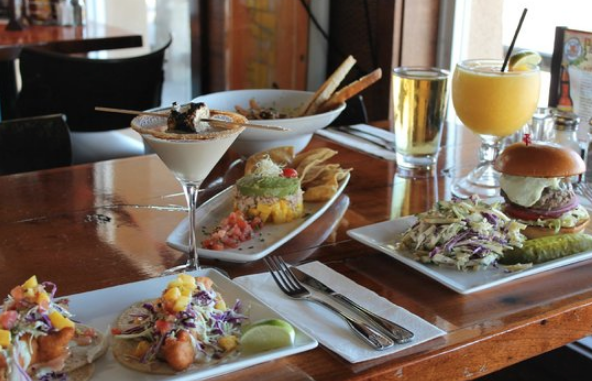 Tower 13 has one of the best happy hours in Cardiff-by-the-Sea. On Mondays their happy hour is ALL day, that's right... All day! Tuesday-Friday from 3:30pm-6:30pm is their happy hour which includes: $6 on selected food items, all draft beer only $5, house margaritas only $5, $2 off all Tower Cocktails and more! Check out their website for more happy hour deals, food and live music at www.tower13.com or swing by to check it out for yourself! Looking to host an event or party? Tower 13 can accommodate just about any type of party or gathering! They can host groups between 25 and 250 people. Newer PostPursue our Unique Pet Vendors!